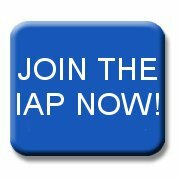 The Institution of Analysts and Programmers (IAP) has a very clear purpose, an inspiring vision for its future and a solid understanding of its mission. The Purpose of the Institution is to be a membership body that caters for IT professionals working within the broad field of software development, ranging in seniority from new entrants to the most experienced. The vision for the Institution of Analysts and Programmers is to be the leading professional body for those engaged in creating, developing and maintaining information systems, with an international reputation for high standards and the calibre of its members. The mission of the Institution of Analysts and Programmers is to become the leading specialist professional body world-wide recognising the competence of those engaged in all aspects of software development. We need to ensure that our members adhere to the highest professional standards, are committed to their own development and abide by their duty to serve the public interest in their work, while providing them with real practical support and guidance.